Digital transformation will continue to drive IP traffic in India with the projected increase in Internet users from 373 million in 2016 to 829 million or 59 percent of the Indian population in 2021. In addition, there will be 2.0 billion networked devices in 2021, up from 1.4 billion in 2016 and the overall IP traffic is expected to grow 4-fold from 2016 to 2021, a compound annual growth rate of 30% and reach 6.5 Exabytes of data per month in 2021, up from 1.7 Exabytes per month in 2016, according to today’s release of the Cisco Visual Networking Index (VNI) Complete Forecast. According to the report, M2M connections will represent 22 percent of the total 2 billion devices and connections and will account for five percent of IP traffic by 2021. Advancements in IoT applications such as smart meters, package tracking, digital health monitors and a host of other next-generation M2M services is driving this incremental growth—nearly 21 percent increase in the next five years. Video will continue to dominate IP traffic and overall Internet traffic growth—representing 76 percent of all Internet traffic in 2021, up from 57 percent in 2016. 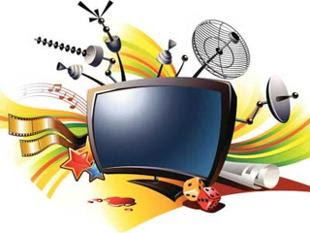 India will reach 84 billion Internet video minutes per month by 2021, which is one hundred and sixty thousand years of video per month, or about thirty two thousand video minutes every second. “Mobile networks, devices and connections in India are not only getting smarter in their computing capabilities but are also evolving from lower-generation network connectivity (2G) to higher-generation network connectivity (3G, 3.5G, and 4G or LTE). Combining device capabilities with faster, higher bandwidth and more intelligent networks is leading to wide adoption of high bandwidth data, video and advanced multimedia applications that contribute to increased mobile and Wi-Fi traffic” said Sanjay Kaul, Managing Director, Service Provider Business, Cisco India and SAARC. · Global IP traffic is expected to reach 278 exabytes per month by 2021, up from 96 exabytes per month in 2016. Global IP traffic is expected to reach an annual run rate of 3.3 zettabytes by 2021. · Busy hour Internet traffic is increasing faster than average Internet traffic. Busy hour Internet traffic will grow 4.6-fold (35% CAGR) from 2016 to 2021, reaching 4.3 Pbps by 2021, compared to average Internet traffic that will grow 3.2-fold (26% CAGR) over the same period reaching 717 Tbps by 2021. · Content delivery networks (CDNs), will carry 71 percent of all Internet video traffic by 2021 (up from 52 percent in 2016). · DDoS incidents can paralyze networks by flooding servers and network devices with traffic from multiple IP sources. · The peak attack size increased 60% Y/Y and represents up to 18 percent of a country’s total Internet traffic while they are occurring. · Average DDoS attack size increased to 22 percent which is relatively the same rate as Internet traffic at 29 percent Y/Y. · The DDoS attacks grew 172% in 2016 and will increase 2.5-fold to 3.1 million by 2021 globally. 3. Globally, total public W-Fi hotspots (including homespots) will grow 6-fold from 2016 to 2021 from 94 million in 2016 to 541.6 million by 2021. · Globally, total Wi-Fi homespots will grow from 85 million in 2016 to 526.2 million by 2021. · Globally there were 91 percent of public Wi-Fi hotspots in 2016 and by 2021 it is projected to reach 97 percent. · Leading hotspot countries: China (170M by 2021), US (86M by 2021), Japan (33M by 2021), and France (30M by 2021). · Installed/In-service 4K TV sets will increase from 85M in 2016 to 663M by 2021. · A global cord-cutting household generates 117 GB per month in 2017, compared to 63 GB per month for an average household. · End-User Internet traffic is moving closer to the Edge. Nearly half of traffic will bypass core completely by 2021.